Vaterfreuden is a very popular online community in Germany for fathers, who share their ideas, concerns and challenges they face in growing up their children. 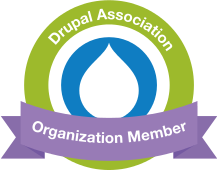 This website was originally developed with Drupal 6, and we were assigned with the task of a full Drupal 7 upgrade. During this process, new features were introduced to complement the social aspects of the website, including user profiles, messaging & notifications, and groups. In addition, a slightly complex article publishing workflow was implemented, respecting taxonomy based and workflow state restrictions based on user permissions. In addition, a new theme was created from scratch, based on a PSD design that was provided. We used a subtheme of Adaptive theme as a basis.